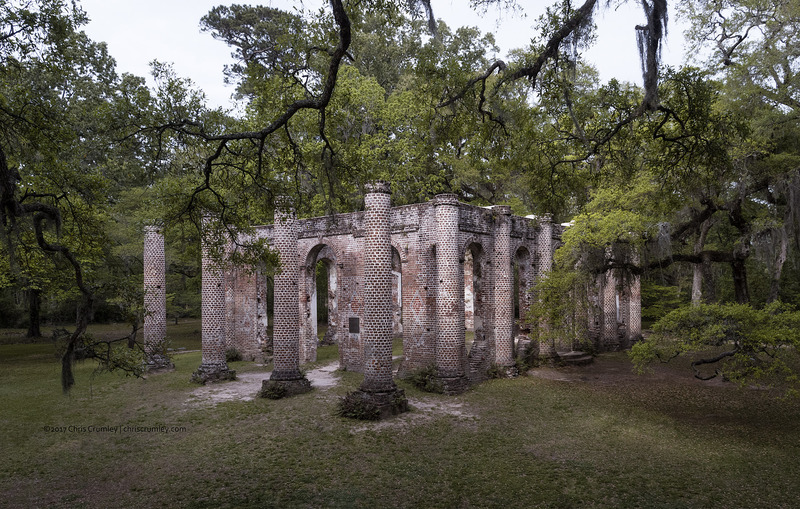 Prince William Parish Church aka Old Sheldon Church Ruins, Cotton Hall Road, Beaufort, SC. Completed in 1753. Burned by the British in 1778. Rebuilt in 1826 and destroyed by General Sherman's troops in 1865. Tech: DJI Inspire 2, X5S Gimbal/Camera, Olympus 12mm optic with several stops of ND -- in Beaufort, South Carolina.